Honor Basquiat posted a message on How would you describe the power level of these decks? I like the saying "I play a fair deck". I think it's a good way to describe it. I definitely play powerful cards and a lot of interaction, but I'm not trying to combo out, I'm not doing the exact same thing ever game, I'm not trying to prevent you from casting spells. Is the term "fair deck" something people say often? What does that usually mean? 38 lands is a lot, but I really don't want to miss land drops because even though I have about 8 or 9 nonland mana sources, I have a pretty high curve in the Atraxa deck. And yeah, I'm not playing fast mana, I think cards like Sol Ring and Mana Crypt are degenerate/broken (although I used to play them years ago). I feel like I'm in an odd space for a Commander player. 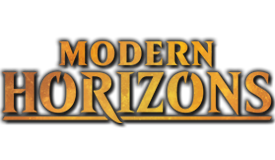 I am by no means a novice, I've been playing by years and I'm an ultra Magic fan, I play with expensive cards and love the commander format. At the same time, I certainly am not a competitive player. 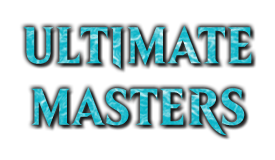 I don't like playing Commander games that last only 4 or 5 turns, I don't like a bunch of tutors in a singleton format and I don't like playing with infinite combos. 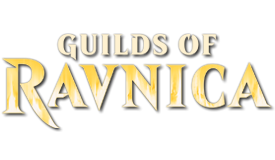 I'm trying to get a better understand of describing my playstyle and power level when introducing myself to players and tables. I find sometimes I'm pubstomping or getting dominated by cEDH decks. These are my two favorite decks to play (and they are probably my best ones). How would you describe the power level for these decks (the more detail the better)? Please help me clean up this rules text for a potential creature card idea I have. At the beginning of your end step, you may choose another nonland permanent you control. If you do, put a veil counter on it and it gains hexproof. You lose life equal to the chosen permanant's converted mana cost. At the beginning of your end step, you may choose a nonland permanent you control, if you do, you lose life equal to its converted mana cost. If you lost life this way, put a veil counter on the chosen permanent and it gains hexproof. At the beginning of your end step, you may choose another nonland permanent you control and pay life equal to its converted mana cost. If you do, put a veil counter on it and it gains hexproof. Note: I want the hexproof to last indefinitely rather than just until end of turn. Also, I want the veil counter to just be a memory aid rather than what is actually causing the hexproof (sort of like Isareth the Awakener). Bonus points for anyone that can come up with a flavor/lore explanation for this ability (I'm thinking golgari, dimir or sultai colors for this card). A one-mana card that recycles your spells in addition to providing a body is already beyond good without the ability to continuously buy back spells for you each turn. It doesn't even matter that the card is random, you still get a better card draw and all this needs to get going is your early Opt, though Shock also gets a lot better if it comes back over-and-over. Essence Scatter can get annoying really fast - so can any early answer. And then Glimmer of Genius. And never will this just draw you a land. Bonkers. It doesn't just keep recurring a free card without any effort. It has to survive at least one turn before you can use its activated ability that costs 5 mana so the Essence Scatter scenario doesn't really apply. If you're playing a deck built around Mavel the Ingenious, you're not going to only cast one instant spell over the course of 6+ turns. I will mention that I did consider including a drawback that caused it to enter the battlefield tapped. Also, perhaps more importantly, I probably should have mentioned for both of these designs I had the Commander format in mind rather than non singleton constructed formats. 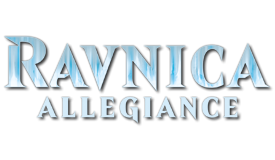 I agree that in constructed formats Mavel the Ingenious could potentially be more problematic than in Commander but I disagree that it would be super degenerate. Unrelated Question, where do you get that frame for the legendary cards? In which program do you make them? I designed the cards with mtg.design. At the beginning of your upkeep, put the top four cards of your library into your graveyard. BRG, Sacrifice a land: Destroy target nonland permanent if it has converted mana cost less than or equal to the number of land cards in your graveyard. Tilda, Soil Spinner deals 3 damage to that permanent's controller. Next: A commander with a hybrid mana cost that includes blue and a converted mana cost of 1. When Mavel the Ingenious enters the battlefield, return an instant or sorcery card at random from your graveyard to your hand. 3UR, T: Exile Mavel the Ingenious, then return it to the battlefield under its owner's control. When you cast Del, Eternal Champion, draw X cards and gain X life, where X is the number of legendary permanents you control. Del, Eternal Champion has indestructible as long as you control five or more legendary permanents. Yeva fundamentally violates the spirit of the Commander format and is a very slippery slope. Perhaps you could make a creature with a 5 color identity that rewards you for playing green creatures or punishes you for playing nongreen creatures. At the beginning of your end step, you may exile target artifact you control, then return that card to the battlefield under your control. Metalcraft — Artifact spells you cast cost 1 less to cast as long as you control three or more artifacts. They are all extremely powerful for the format and Loyal Apprentice in particular seems busted. Whenever Restraining Priest deals combat damage to a player, that player can't search their library for the rest of the game. Honor Basquiat posted a message on Yennett, Cryptic Sovereign - Let's Brew! Retreat to Coralhelm is the secret underrated tech that has the potential to be excellent with Yennett, Cryptic Sovereign. Mystic Speculation is another hidden gem that is worth trying. I think it should be pretty clear what I'm getting at, but I feel the phrasing is off a bit. Also I'm not sure if this can enter as a 0/0 assuming there are no nonland permanents in exile that you don't own, exile the target nonland permanent as it enters and become a 1/1 or if this is just dead on arrival if there are no exiled things already. I was trying to move away from */* and it seems like Wizards has been doing more 0/0 lately (i.e. Multani, Yavimaya's Avatar). When The Prison Council enters the battlefield, exile target nonland permanent until The Prison Council leaves the battlefield. The Prison Council gets +1/+1 for each nonland permanent card in exile you don't own. 3WB: Exile target nonland permanent. Activate this ability only if The Prison Council's power is 10 or greater. Honor Basquiat posted a message on Out of the new creature commanders which ones are likely to be the least and most popular? Tuvasa the Sunlit: This is pretty much what Bant enchantment players have been dreaming of for years. Low mana cost, card advantage and late game win condition. Also a relevant tribal type, there will be a few players that will want to build Bant Merfolk decks and this will be the commander for that. Yuriko, the Tiger's Shadow: Evading the commander tax is a big deal and will certainly be something many players are interested in. A lot of the Kamigawa die hards along with general fans of ninjas and the ninjutsu mechanic will be all over this one. It is a unique Dimir commander that will excite many flavors. Yennett, Cryptic Sovereign: She cheats cards into play for free sometimes which can be very powerful when used in tandem with top library manipulation. Even if you don't play up the odds shtick, Yennett still is a reliable constant source of card advantage in the command zone which makes her a strong candidate for midrange and conrtol decks. Additionally, she is the only WUB legendary sphinx, so tribal sphinx fans will certainly build decks around her. I also anticipate a lot of Oloro, Ageless Ascetic players trading in for Yennet because there hasn't be a WUB commander that reliability provides card advantage in a long time. Thantis, the Warweaver: It's a legendary spider, but probably inferior to [[Ishkanah, Grafwidow]] for spider tribal decks. Otherwise while the forced combat is potentially exciting, it has a high converted mana cost and a weak triggered ability that I don't anticipate will excite many players. Gyrus, Walker of Corpses: Interesting at first glance, but extremely conditional reanimation when there are so many better and more interesting reanimation commanders doesn't seem like it would entice many players. You would think players would make him the default Hydra tribal Jund commander, but his triggered ability is a nonbo with Hyrda's with X based power. Tawnos, Urza's Apprentice: It's not that he's not good or interesting, it's just there are so many artifact matters commanders now, many that are more flashy and unique than Tawnos, I can't see many players gravitating around Tawnos. The players that specifically wanted a UR artifact themed commander are already playing Jhoira, Weatherlight Captain or will play Saheeli, the Gifted instead. 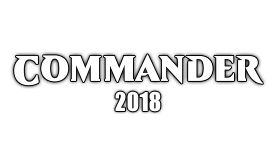 There are 16 new commander options from the new Commander 2018 set. 12 of them are creatures and 4 of them are planeswalkers. 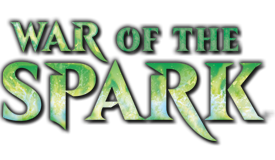 It is very likely that the planeswalker face cards will lead the front in the popularity contest, but what about the alternate creature commanders? 1. Which three new creature commanders do you anticipate will be the most popular in terms of building a commander deck around? Why? 2. Which three new creature commanders do you anticipate will be the least popular in terms of building a commander deck around? Why? This probably doesn't need the CMC restriction. Zur has such a restriction because he looks through your library, getting from the graveyard is a much larger restriction. I put the CMC restriction in place to prevent players from reanimating stuff like Omniscience or Eldrazi Conscription or even things that shouldn't be easier to recur that cost less like Asceticism.